​It is my deepest desire to walk a while with you so that you can show up in this world in your most powerful Being. We all have our unique gift to bring in and understanding the Energy Field in which we journey brings clarity and deep inner peace. Thank you for being here and knowing that you are here to uplift Consciousness. ​Finding the support we seek, to help us to stay connected to our dreams and heart's desire, is not always easy. This life is challenging on many levels and we are easily distracted in day-to-day surviving. We forget why we are here in this Life Journey. 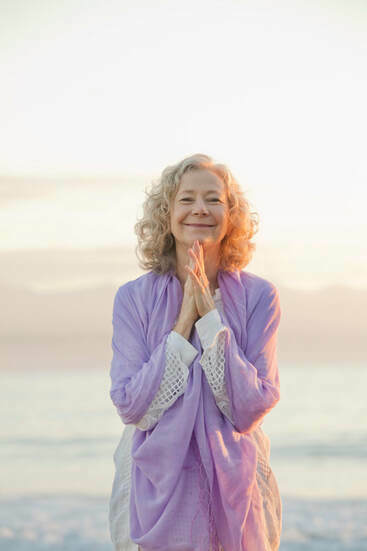 If you are feeling called, urged or nudged to step into a more authentic and truthful path, I invite you to join us as we learn how to process our Being in a more inspired, creative, delighted and connected manner. As we step into our Life Purpose and remember who we are, we begin to support and uplift Consciousness. Managing this higher awareness and the new Energy streams are the gifts I offer you as you step into the Transformational process with Integrity and Grace. ​On our Facebook Private Page - Pathways to Potential the components of the work are presented in Units so you can easily access all the posts in that group. Gain insight as to what is going on in the Energy Field and how can I be most effective in the constant fluctuations. Give yourself just a few minutes each day to connect to the breathing / grounding exercise to maintain focus and high energy as you manoeuvre through the day. Joining with like-minded Souls brings a gathering of Energy into the Field and when we do this with Grace, Gratitude and Gracious Awareness we contribute to Global Consciousness and Transformation. Share and ask - as a community of Soul Workers we have much to share. Show up and receive and give. Each month a significant Guided Connection (from real sessions) will be posted for you to download. Use these meditations when you go to sleep at night or when you give yourself time to rest and realign. The powerful Light Energy and Inspiration that comes through is for all of us who are willing to hear and bring great blessings, release and creative consciousness into our Life. Look here to find other gems and guidance.